While studying film at NYU's School of the Arts with Martin Scorsese, I was hired as Bill Graham's chief engineer. 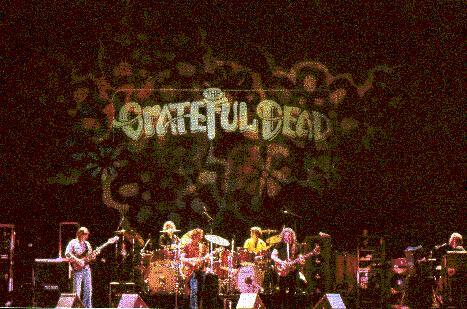 The opportunity to mix concerts at Fillmore East temporarily enticed me away from filmmaking. After Fillmore East closed a few years later, I ran the audio department for Bill Graham Presents' San Francisco shows and tours for five years. During this period I oversaw BGP's sound system design and crew training, and mixed tours for Crosby Stills Nash and Young, Dylan, the Dead, The Band, Joni Mitchell, and many others. The San Francisco Examiner ran a puff piece on Bill's outfit while I was head sound guy there. Click on the image above to bring up some lavish press and photos from a few decades ago. 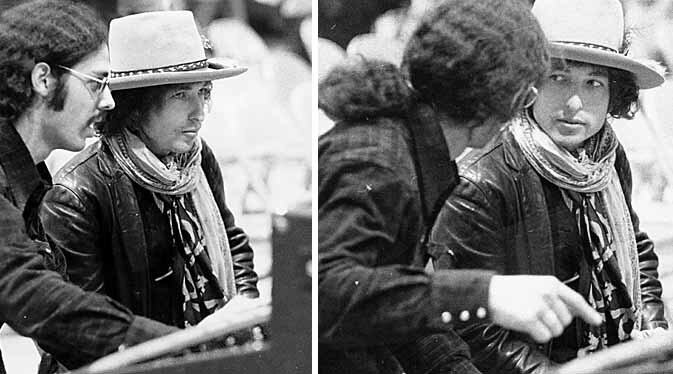 I toured three times with Bob Dylan mixing his live concert sound. In these two shots, Bob's visiting my house mixing position during a rehearsal prior to a special show at Folsom Prison. We put on a show there to honor inmate Hurricane Carter, who Bob had written a song about. The letter excerpt below from the Grateful Dead's management (click to see the whole thing) is significant because this is the same band that stomped off the Fillmore East stage in a huff seven years earlier, fed up with how I was mixing their sound. They had walked out on my first show as newly promoted head of sound for Bill Graham's East Coast operation. Fortunately Bill was at Fillmore West that night!